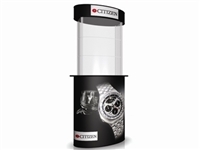 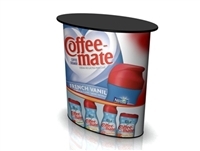 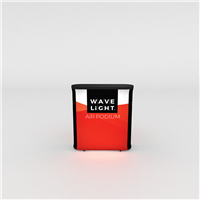 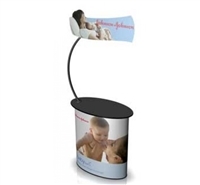 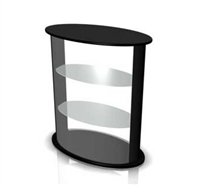 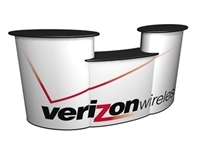 Trade Show Counters add depth and visibility to your trade show booth with our Portable Trade Show Podiums and Counters. 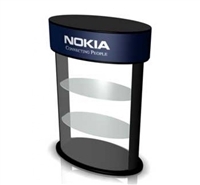 It's a proven fact - show attendees are more likely to stop and linger at booth exhibits that have a counter or podium to welcome them in. 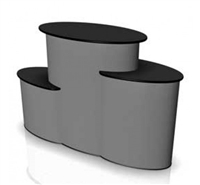 Not just for trade shows, our podiums and counters are also very popular for lobbies, career fairs, and other venues. 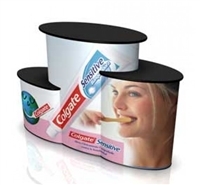 The trade show counters are sold in a variety shapes, kits and sizes filling every exhibitors needs. 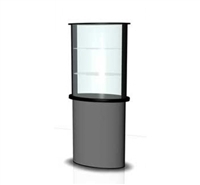 These exhibit counters and trade show podiums, will be the focus with in your trade show event. 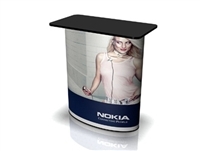 These trade show counters can be used to hold literature, Jewelry, and even house Ipad's at your next event. 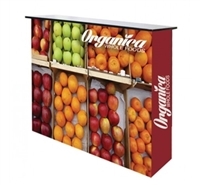 Do not be fulled they should not be compared with heavy bulky store fixtures that are commonly made from steel and are not meant to be portable trade show counter.